What in the world is the vehicle you see above? Well, um... yeah. We have no idea. According to the video description from YouTube, however, it's a modified Jeep Wrangler, and it comes from the same person who created the equally insane side-by-side merged Wrangler you saw here. 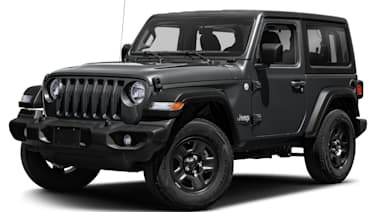 We can clearly make out the Wrangler-shaped passenger compartment up top, but as for the other bits and pieces that make up this rather amazing machine, your guess is as good as ours. At the very least, it seems to us that the car's wheelbase has been given a significant stretch, and the grille may have come from an International LoneStar Harley-Davidson Special Edition semi truck. What other components are sourced from the massive International hauler? No idea. We suggest you check out the video below and draw your own conclusions. Oh, and if you've got any other ideas, feel free to let us know in the Comments. Tip: Thanks for the tip, Yazeed!